I loooooove pampering myself and trying out new spa around town. So when I saw The Nail Corner at SM City Marilao, I said to myself, "I should give this place a try!" Aside from that eagerness inside me, another thing popped in my mind, how can a nail salon click here in SM City Marilao? I mean, don't get me wrong, but I often see nail salons at high end malls or malls around manila, or at places where there's definitely people who wouldn't mind spending a lot of money to pamper themselves. This is actually the first nail salon I've seen near my place. Not even SM Valenzuela has a nail salon. So this particular nail spa really caught my attention. Upon seeing Nail Corner on the outside, you'd feel how maka-masa and welcoming the atmosphere is. With prices posted outside of the salon, it definitely tells everyone what they'd expect. Upon entering, I was greeted with a smiling face and a relaxing music and the ambiance inside was may pagka-high-end pala. 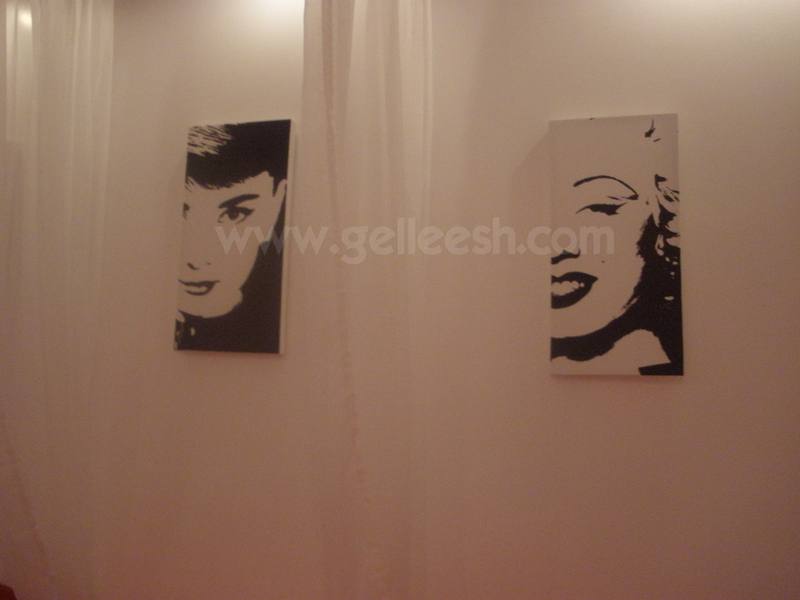 I was also greeted by Marilyn Monroe and Audrey Hepburn. Teehee! After a small intro, I was lead to a comfy seat and offered me and my sister a glass of ice tea. My attendant for that day is Janna. She was very sweet and friendly and told me what I'd be having. First up were my poor exhausted feet. My feet were soaked in a bubbly water with stones of some sort in them. I asked Janna what the stones are for and she said I could scrub my foot or just play with 'em. Cool! After that, she started cleaning my nails. I'm very particular with people who would be cleaning my nails. My nails have been wounded numerous times because of carelessness of the attendants who used to clean 'em. I'm comfortable with my attendant in Templora Dermatologica and I'm glad that my nails loved Janna's hands! She cleaned my nails well and it didn't hurt a bit. Nail Corner is lucky to have a good staff in you, Janna! After having my nails cleaned it's time to pick a color for 'em. I actually forgot what I picked. Arrrgh. Silly me! I was just so overwhelmed with the colors from the Jennifer Lynn Gel polishes. The process in applying the gel polish is so exhausting. Hahaha! 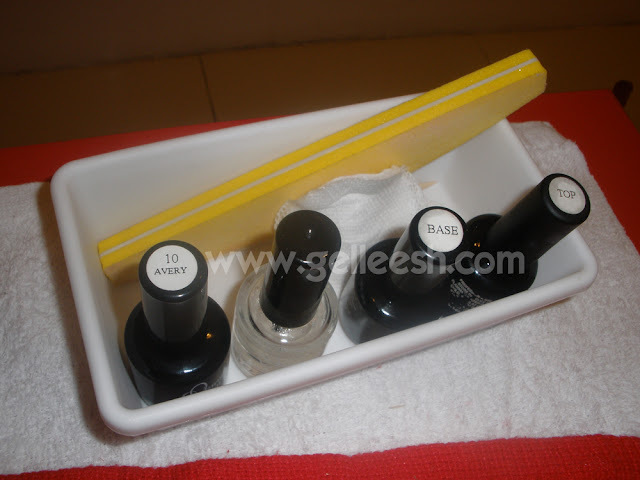 They need to apply the bonder then the base coat followed by the nail color itself and then the top coat. Every application my nails have to be dried using their UV lamp for 2 minutes and after the top coat, it needed to be cooked, I mean dried up to 4 minutes. When Janna asked me if I want another coat for the color, I told her two coats are enough. It already looks nice already with two coats and I don't want Janna getting tired and all because of me. Aww... Hehe. After my feet, time to let my hands receive the same royalty treatment. I can actually remember the shade for my nails, it's Avery! My hands were also soaked in bubbly water with stones and then the cleaning... Oh, well, you know the drill. 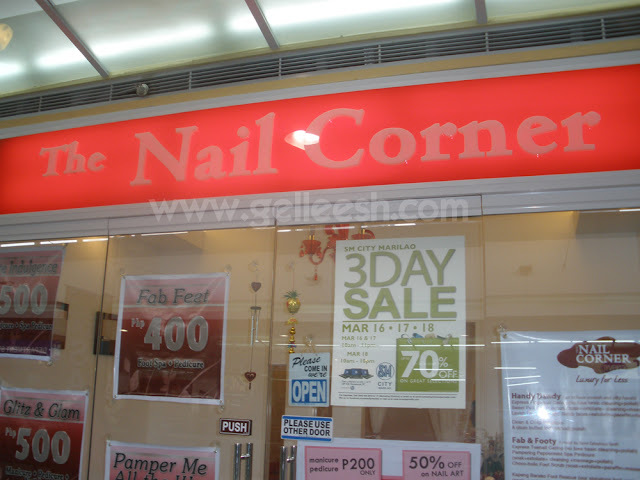 The Nail Corner is located at the 2nd Floor of SM City Marilao near Toy Kingdom. So for all my Bulacan-based readers, try dropping by there and experience a royalty treatment for an afforable price. never been to a nail salon for a loooong time.. waahhh! omgosh i haven't had my nails done at a salon in YEARS i think!! hahah so lucky you look so relaxed :)! wow! if only sm marilao wasn't so far :( but this is awesome! Wow super nail pamper ito neng... It's time for me to go to nail spa na nga. How awesome! It looks like you had a great experience. Nag nanail art din ba cla?